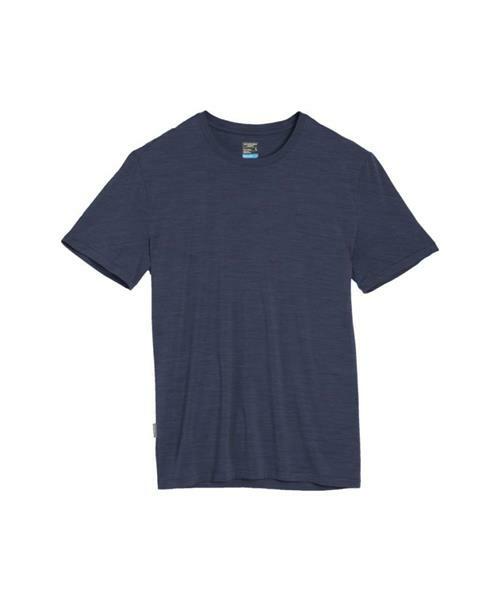 Stay cool and dry all summer with the Sphere Short Sleeve Crewe, Icebreaker's best hot weather tee ever. Combining 65% merino with 20% plant-based TENCEL® and 15% Nylon, they created Cool-Lite™, Icebreaker's lightest, most breathable fabric. Cooler and faster drying than pure merino, Cool-Lite™ still retains Icebreaker's signature odor resistance and soft feel. They use a heathered version, with casual set in sleeves and understated tonal logo to create Sphere, the summer shirt that's equally at home on a long hot climb as it is on a really slow, deserted beach.